Healing of the future . . . Now! The Holidays are fast approaching and plans are being made for visits, gift giving and celebrating. In this remain well during the stressful Holiday Season, and give you a glimpse into the future with what we have scheduled here at the STAR Tech Healing and Learning Center to start the New Year. We wish you all a safe and healthy Holiday Season, and a prosperous and healthy New Year! Be Well for the Holidays! Many people look forward to the Holidays as a time for parties, renewed friendships, family get-togethers and a time to exchange visits, gifts and memories. As you make your way through this holiday season, remember that more than any other time of the year, if you are not eating properly, any inflammation or pain you already have, will be increased. Here are some suggestions to prevent an increase in your pain during the coming season of fun and merriment. You’ve heard all these things before, but perhaps didn’t know why they were important to observe. Stay Hydrated. Many of the special holiday foods, especially the drinks, can cause dehydration. When the body is dehydrated, it is forced to struggle to remain well. Blood thickens with dehydration, and doesn’t flow as freely as it should, which increases inflammation, slows healing and increases pain. Tight muscles will become tighter and more painful when blood is presented an even greater challenge of getting to the deep cellular level because of its thickened condition. An interesting past study demonstrated that simply by drinking more water, back pain was somewhat relieved. This holds true for other muscular and soft tissue pain as well. Simple water can help to reduce pain. Coffee, tea, chocolate and colas all contain chemical substances that cause an increase in pain and inflammation. All are stimulants with the side effect of increased urination. Diuretics increase the body's loss of water and electrolyte minerals into the urine thus disturbing the delicate balance of important minerals in soft tissues, including muscles and ligaments. The result is more stiffness and pain in muscles and ligaments because the body has to scavenge for the lost minerals, often taking it from existing bone mass. Watch your Sugar intake. Sugar is a known direct feeder of inflammation in the body. Sugar will increase any inflammation and pain that is present. There is a biochemical connection between sugar and pain. This includes all forms of sugar, from all sources. It doesn't matter whether the sweetener is sugar, honey or corn syrup, the pain result is the same. Sugar also causes the body to extract minerals from bone and muscle. White table sugar (sucrose) greatly increases pain. This is especially true for sufferers of spinal arthritis and fibromyalgia. Eating sugar creates a problem for those suffering from arthritis pain because sugar directly increases inflammation. When sugar is eaten, the human body will either use it for blood sugar or convert it into fat for storage. Sugar is readily converted into a bad fat, namely saturated fat. Beware of hidden sugars in sauces and breads during your holiday feasting. Often the presence of sugar is not obvious. If you accept that sugar equals pain, know that the more sugar you eat, the more pain you will experience. A common problem is to swap sugar for aspartame which will only cause you more problems. There are currently multiple class actions against aspartame. Safe alternatives are Stevia or Xyotol. Avoid the bad fats. The bad fats not only feed inflammation and pain, they also will increase your bad cholesterol and waistline measurement. All fat is not the enemy, just the bad fats are. Bad fats are saturated fats and trans fats. These fats raise your cholesterol, clog your arteries, pack on the pounds and shorten your life. Saturated fats come from animals and include all types of meat and dairy products including lard, butter and cream. Other sources of bad fat are palm and palm kernel oil. Trans-fats come from hydrogenated or partially hydrogenated oils like shortening and margarine. Hydrogenated and partially hydrogenated oils are used in most processed snack foods, cookies, side dishes, snack cakes and most bakery goods. your joints, provide energy and help protect against heart disease, high blood pressure, stroke, arteriosclerosis and blood clots. They can help relieve arthritis, asthma, PMS, allergies, skin problems and behavioral disorders. Good fats also boost brain function. Good fats are also called essential fatty acids, monounsaturated and polyunsaturated fats. Some sources of good fat are raw (not roasted) nuts, seeds, olive oil and avocados. Fatty fish such as salmon, mackerel, herring and trout are also sources of good fats. Avoid Processed Foods Processed foods have everything bad about them and nothing good. They're high in cholesterol and high in fat. A high consumption of processed meats could also put you at an increased risk for a variety of cancers. Processed foods are also responsible for increasing pain and inflammation. Processed meats such as lunch meat, hot dogs and sausages contain chemicals including nitrites that are associated with increased inflammation and chronic disease. This is partially due to the unhealthy fats used in preparing and processing these foods, especially the trans fats and saturated fats. The average hot dog (plus the roll) has 315 calories, 52 percent of which comes from fat, including 7 grams of saturated fat. It's these saturated fats that can cause you pain, since they can lead to swelling of the joints. Get enough Sleep. Being sleep deprived and overtired slows healing and increases pain. Lack of sleep also sets you up to be more susceptible to the many illnesses that accompany the Holidays. When the body is tired, your resistance is diminished to the negative effects of fats, sugars, chemical additives and dehydration. Continue to Exercise. With the extra eating and drinking that is a usual part of the Holidays, time for exercise may be sacrificed in favor of the numerous social commitments and the more "fun" activities. Lack of exercise and movement also lowers your body’s resistance to negative outside forces. On the other hand, if you are overtired, don’t over exercise. The results for your body will be negative. Your Pain Is Your Choice. Life presents us with many choices, and we sometimes can choose between what is good for us now or good for us later. What we eat in relation to relieving pain or encouraging pain is certainly one of the choices we can make during the Holidays. Shall I indulge myself and satisfy my fat and sweet cravings now, knowing full well that I will be in greater pain later as a result, or will I make wise food choices now which promises me less pain later on. Your pain is your choice. n addi tion to Gift Certificates, we also have products to give as gifts. 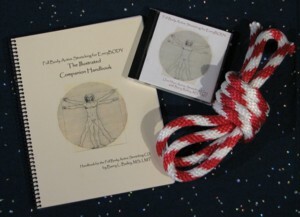 Barry’s Full-Body Active Stretching for EveryBODY Class CD and Handbook makes an excellent gift for anyone who is active as well as the person who is not already active. Add a rope and the gift is complete. We carry two thicknesses of ropes. We also carry shorter, children’s ropes as well. Specific information about all our gift certificates is available on our website at http://www,startechhealing.com Click on the site button that most closely fits the type of Gift Certificate you wish to consider – “Massage” for massage treatments, “classes” for class Gift Certificates, “Products” for the book, CD and rope. The flu season is upon us, and will be with us for some time. In the past, our clients have asked us questions about having a massage when they are sick. The simple answer to this is: you SHOULD NOT have a massage if you are sick. This is true for a variety of reasons. First and foremost, we do not want to see you if you are sick. Please be considerate and do not bring your infection to our office where we Therapists will be exposed to whatever you have. Remember, we can’t work if we’re ill. We don’t get paid sick days. We also don’t want the health of subsequent clients who come into our office after you to be threatened. Our office and treatment rooms must remain a safe place, and free from the possibility of any threat of illness. In addition, massage is usually not beneficial to you if you are sick. If you have a fever or infection, your body is already in the stress mode, trying to fight off the body’s illness. If you have a sore throat, cold or the flu, massage can actually intensify it and make your condition worse. Massage stimulates the body to work harder to balance itself. If the body is already in overdrive fighting an illness, the stimulation that massage adds is likely to be counterproductive in your return to normal wellness. For a similar reason, you should not exercise heavily when you are ill. If you are ill, we request that you do not schedule a massage appointment. If you already have an appointment scheduled, and know you are ill, we ask that you try to notify us at least twenty four hours before your scheduled appointment time, and cancel your slot. If you suddenly become ill and have an appointment scheduled, we would rather you cancel at the last minute, than arrive at our office sick. Please be considerate of your Therapists and of our other clients. If you are sick, stay away, please! November 13th, Barry set up a display table again at this year’s Wellness University sponsored by the Acton Board of Health. Barry gave out brochures and shared the wellness and healing concept of Active Stretching with those attending WU. There seemed to be more interest this year, with a few people wanting more information about the stretching classes, having attended his Active Stretching workshop at WU last year. Several people from that day have already attended Active Stretching classes here at the Learning Center. In May and October Barry attended the two 2010 Massachusetts Men’s Gatherings in Charlton, MA. At both Gatherings he led workshops as usual, including an Active Stretching workshop. At the May Gathering he led a new workshop about the Green Man which was very well received and appears to deserve a repeat offering. Many of the men were unfamiliar with the Green Man, where he came from, or his significance for us men. Barry’s massage treatment room and the STAR Tech classroom are both decorated in a Green Man theme. Bailey Therapeutic Massage and the STAR Tech Healing and Learning Center were invited to represent the weekly Health and Wellness contribution of the Market. In July, Barry was invited back for a second time to be Guest Instructor at the Pedal and Pose Fitness Studio in West Concord. On a beautiful hot summer night he led another capacity crowd of students in an Active Stretching class. Norah Benincasa, Fitness Trainer and owner of Pedal and Pose, arranged for the class because she wants her students to learn about this valuable form of stretching. She is a strong believer in cross training and wants her students at the studio to be able to add Active Stretching to the fitness work they already do at Pedal and Pose. g ain, we extend a grateful Thank You to all of our clients, students, business associates and friends who voted for us in the 2010 Community Newspaper Readers Choice Awards contest. 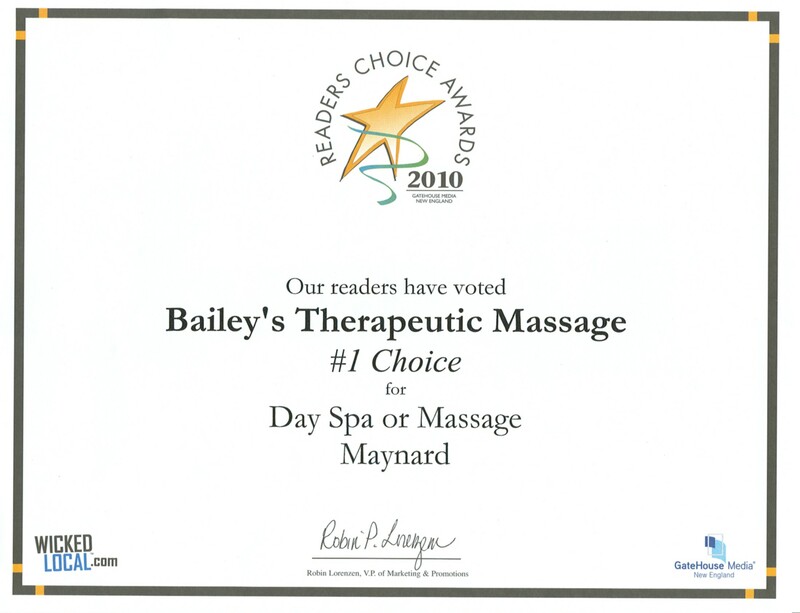 Bailey Therapeutic Massage was voted #1 for Massage in Maynard for the eighth consecutive year. Your support and patronage is greatly appreciated. We look forward to another year of successfully relaxing our clients and taking them out of suffering and pain. any of our clients have been with us for a lot of years. They have shared an interest with us, as our daughter Miranda grew up and worked her way towards a career as a professional ballet dancer. Now with Columbia City Ballet in South Carolina, in her tenth season, she is a Soloist and has performed the Chinese divertissement in the CCB production of Nutcracker each year. She is seen here in the Chinese finale, partnered by John-Michael Takashima who also partnered her in the Dance Prism production of Giselle that toured New England in October of this year. Below are links to two video promos Miranda produced for the Giselle production. Last spring Miranda created her first original one act ballet, The Frog Prince, for New England’s Dance Prism. 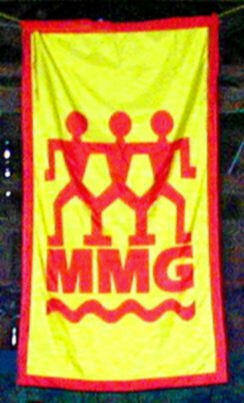 Dancers were given their choreography during Miranda’s Christmas break and Maynard visit with family. Each piece of choreography was recorded and published on YouTube so the dancers could check what they were doing with what had originally been set on them. After returning to work in South Carolina, Miranda watched Frog Prince rehearsals through Skype as Nancy oversaw the rehearsal here. Partnering Miranda was Matthew Tucker as the Frog Prince. He learned his choreography through YouTube videos while he was in Florida. This spring, Dance Prism’s original ballet will be Peter Pan, and will be co-choreographed by Miranda and Dance Prism’s Artistic Director Mary Demaso. Miranda will use Skype again and Nancy will assist in coordinating the rehearsals at the Dance Prism rehearsal studio, with Miranda directing her segments from South Carolina. Peter Pan will play in Littleton and Andover in March and April.